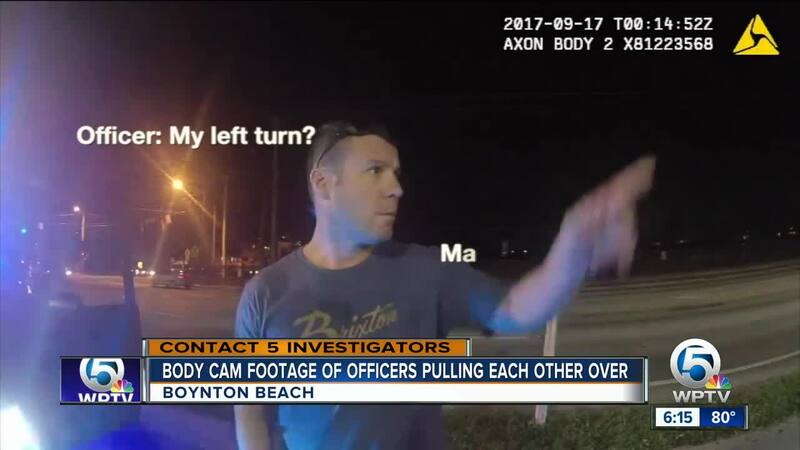 BOYNTON BEACH, Fla. - Moments after a major with the Boynton Beach, Fla. Police Department was pulled over for speeding, he decided to return the gesture by pulling over the same officer who had just let him off with a warning. The entire exchange was caught on dash and body camera video and was released to the media after 13 months of asking for the records. 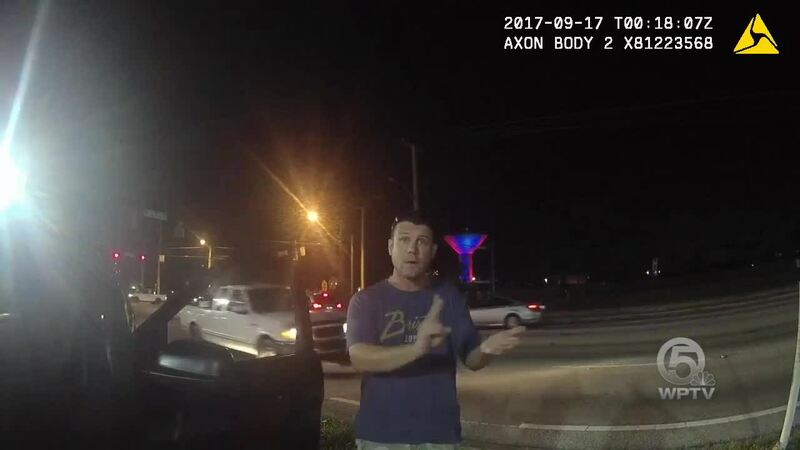 According to the video, Major Michael Johnson was pulled over by Officer Mark Sohn for allegedly driving 97 mph in a 65 mph zone in Interstate 95, while off-duty in September 2017. Johnson was in his unmarked police vehicle and Sohn was driving his K9 vehicle at the time of the incident. Later in the video and in the internal affairs report, Sohn admits he had no idea he was pulling over his supervisor or that the vehicle was an unmarked car assigned to the department. Sohn let’s Johnson off with a warning, but moments later, Sohn is back out of his vehicle. This time, Johnson is pulling him over. “You seriously talk me like that? You just failed a signal, your lane change, and you also failed to make your left-hand turn,” Johnson says in the vide. “My left turn?” Sohn asks. “When you made your left turn off I-95 on the overpass, you didn’t have your signal on. Are you seriously serious about this?” Johnson asks again. The confrontation continues until Johnson realizes he is being recorded on Sohn’s body camera. “Is your body camera on?,” asks Johnson. “It is on,” says Sohn. “Please make sure it is on...I agreed I was speeding. You want to write me a ticket?” Johnson asks. The exchange sparked a 13-month investigation into Johnson on claims of unbecoming conduct and unsatisfactory performance. Johnson told investigators he pulled Sohn over because he 'just wanted to talk'. Initially, Johnson received a written reprimand for both claims, but this week, City Manager Lori LaVerriere rejected the unbecoming conduct allegation since Johnson did not actually receive a citation for speeding. Records show former Chief Jeffrey Katz and LaVerriere were concerned about department leaks after Scripps affiliate WPTV learned of the incident and submitted proper record requests. As a result, Katz initiated an additional investigation into whether or not the body camera video had been leaked to WPTV. The reports released to WPTV did not show video any evidence that the body camera video was leaked to a news outlet. WPTV reached out to a spokesperson with BBPD about LaVerierre's request. In a statement, the spokesperson said, "The memo is direction from the city manager and it speaks for itself." Both the Chief of Police Michael Gregory and LaVerriere declined interviews for this story. Johnson was not put on administrative leave during the investigation. Both officers are still employed with the department.